CAUTION! The following post contains photographic information that could be frightening, disturbing, or even applicable to viewers like you. Thank you! Since its declaration as a new UNESCO Wonder of the World, Machu Picchu has seen a sharp increase of visitors as well as price. This increase in price is preventing most Peruvians from attending their own national park. This raises concern because these parks depend on the support of both westerners and Peruvian natives. If Peruvians do not feel that they have a relationship with national parks such as Machu Picchu or other environmental protection agencies, including portions of the rainforest, it would hardly be surprising if they allowed miners to demolish their lands. Due to the trampling feet of thousands of tourists each day, officials at Machu Picchu are debating whether or not to close a substantial portion of the site. 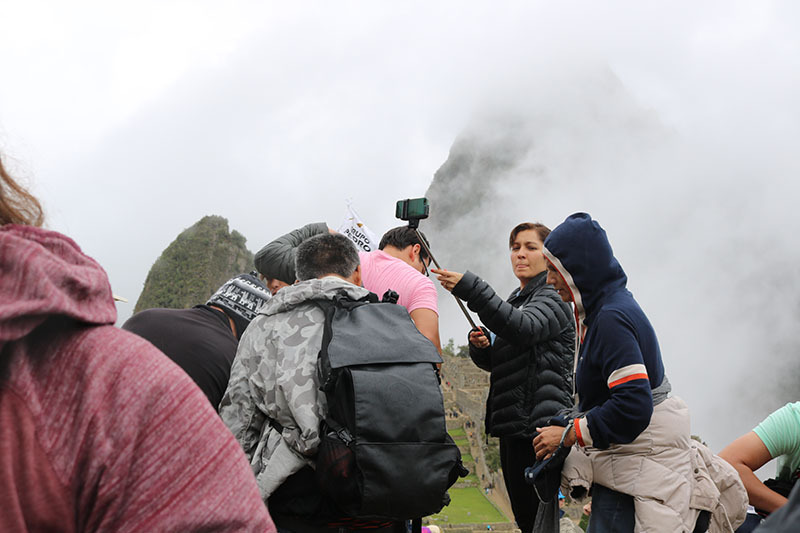 This would no longer allow guests to have an interactive experience with the ruins; instead the tourists would only be permitted to view Machu Picchu from hundreds of feet away. In our opinion, this would subtract from the magic and emotion that Machu Picchu can provide, but it would be beneficial as it would save this historical site from damage. What is your opinion of the closure, and the massive crowds which can be seen at most historical sites? Please write in the comment section below, we would love to hear from you. 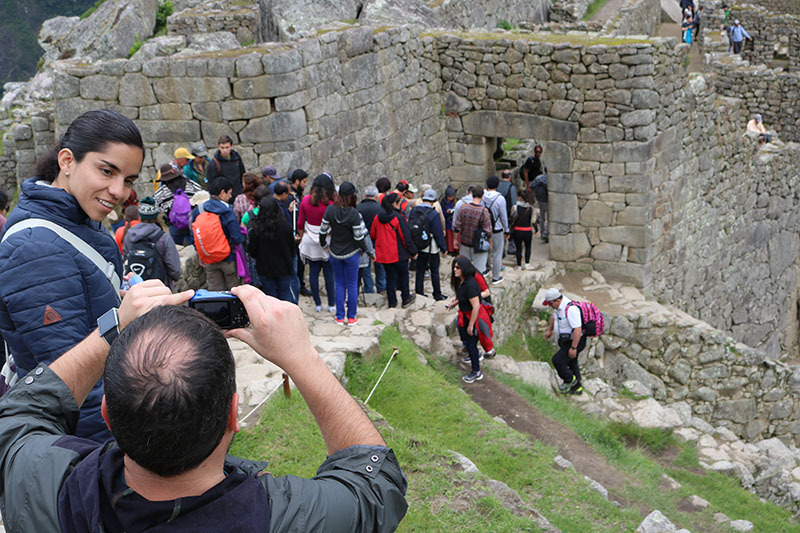 08:00 Explore Ollantaytambo known to locals as the place of rest for the Inca. 10:00 Drink coca tea, try sweet and salty Peruvian pastries and watch the beautiful scenery change from a sparse forest to dense forest. 11:00 Fight the crowds to take the bus to the top of the Machu Picchu mountain, travel up the narrow roads and sheer cliffs while looking at the river below. 12:00 Explore Machu Picchu, but spend more time avoiding the masses of tourists and their obnoxious antics. 14:00 Upon arrival, half of the group took the scenic route to the Sun Gate and the other half braved the crowds armed with their wits, patience, and pointy elbows as their defense. They fought the onslaught of wild and unpredictable tourists in their natural habitat with valiance. 15:00 Our brave battalion loaded the bus to journey back down the mountain leaving with our experience and memories in the forefront of our minds, but a close second was the injuries induced from wild tourists.